Silver Lake Reservoir will no longer be used to store drinking water by the City of Los Angeles Department of Water and Power. This decision has brought forth many views on the future of the reservoir and its beneficial uses by the people of Los Angeles. The recently announced decision to refill Silver Lake Reservoir is welcome. 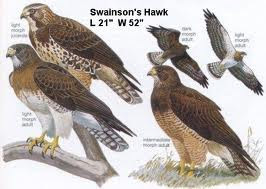 As the future of the reservoir property continues to be discussed, Los Angeles Audubon Society offers the following recommendations for the conservation of birds and their habitats at this location. Silver Lake Reservoir is a popular birding site and is important for resident and migratory birds. Birders have recorded observations of over 140 species at the reservoir on the eBird website and have visited it annually for the Christmas Bird Count since the early 1900s. Its importance to birds has been longstanding, as shown by various observations recorded over the years in our newsletter, The Western Tanager. For example, in 1936, Sandhill Cranes were reported to have been wintering at the site for several years, White Pelicans wintered in 1946, and Tundra Swans in 1948. Recent nesting observations include the Great Blue Heron rookery that is a visible outpost of this charismatic species. New species continue to be observed, with Peregrine Falcon, American Avocet, Greater Yellowlegs, and Northern Pintail recorded in 2017. It is also the site of local songbird rarities, such as a White-throated Sparrow in April 2016 and a Blackpoll Warbler along with other fall migrants in the Eucalyptus trees in fall 2015. These observations show the persistent use of Silver Lake Reservoir and surrounding grounds as a site for wintering and breeding birds. The two most important features of Silver Lake Reservoir as a habitat for birds are the presence of water in the reservoir and the presence and maintenance of a fence that limits disturbance within the fenceline. The presence of water is obviously essential to maintain the site as a wintering ground for waterbirds. Allowing for varying depths of water would provide habitat for the greatest diversity of wading, diving, and dabbling birds. The presence and maintenance of the fence, keeping people away from the water and water’s edge, maximizes the value of the site as a wildlife refuge. Humans and pets disturb birds, such that birds can abandon a site, and the fence is the single most important conservation management tool at the site after the presence of water. We therefore recommend that water be maintained in the reservoir and that the fence be kept in place and in good repair. Without the fence, and the resources to maintain it, we fear that the site would quickly be occupied by people and pets throughout the day and night, as has become the case for other natural open spaces in the City. Without the fence, the effective size of the reservoir for birds will be greatly reduced and any species using the uplands and their vegetation would be subject to significantly increased disturbance. We support adding appropriate vegetation to the banks of the reservoir. The early days of the reservoir had soft banks and emergent wetland vegetation; re-establishment of such plants would increase the value of the site for birds significantly, but only if the fenceline is maintained and human disturbance excluded. Link to pdf of this statement.